Heinrich Netheler, a physician at the Luebeck-South Hospital in Hamburg, Germany was operating in 1945 a small repair facility for medical equipments at the Hamberg university hospital at Eppendorf and had a mission of developing inventive medical products. 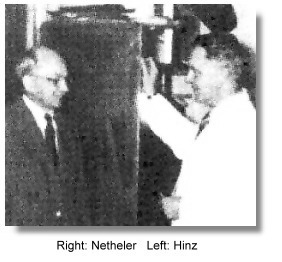 Netheler had been in high frequency research and radar developments since 1943.Professor Hansen, his superior, suggested to him in that year to develop an ultrasonic tomographic equipment for medical use basing on the concept of the RADAR. Both Professor Hansen and Dr. Netheler can be regarded as pioneers for the idea of a non-invasive procedure for the representation of soft part organs in the abdominal cavity. 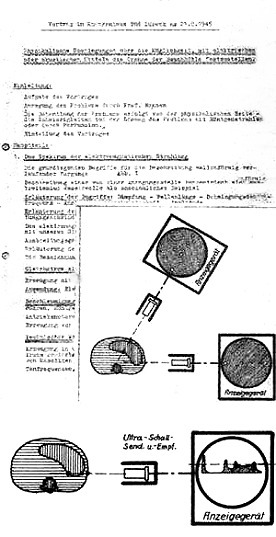 The first research work took place in the premises provided by the hospital Luebeck and later on, after establishment of the electricalmedical workshops in a barrack on the area of the university University of Eppendorf in Hamburg. Nevertheless, due to a lack of funds after the war, the equipment designs could not be put into actual fabrication. On 7th August at the Hamburg university hospitals of the Eppendorf the foundation stone of the company Eppendorf Netheler Eppendorf-Netheler-Hinz GmbH was established. Apart from numerous repair orders for the university hospital the group dedicated itself to "develop qualitatively high-quality products for the improvement of the human living conditions". 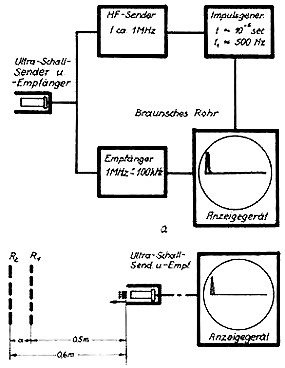 Schematics of the design. Organ scanning represented in brightness of amplitude and position indicator for the conversion of the brightness amptitude to a cross-sectional picture.